Noise is all I heard. Do, I went looking for a coach. While working with Craig the way I want is slightly out of my reach at this very point in my life, I have dedicated myself to sitting for 2 x 1 hour sessions each week and reading through blog posts on the Early to Rise website and listening to the podcast. From there I ordered and downloaded this book. I am distantly connected to the communities on which Craig’s elite clients are found. These guys are Mavericks in the their chosen areas. That means Craig is the Coach for me. The journey has begun with this book. I have changed with immediate effect my morning routine. I have gone from nearly being in tears driving home to my family from work to feeling like I am back on track in only one week. Listen, apply and never give up on what’s important to you. 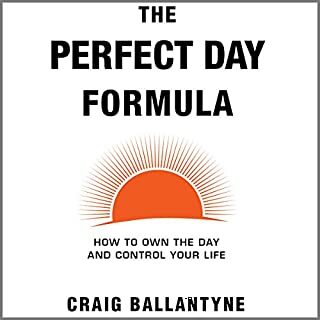 Looking forward to grabbing the Perfect Week in 2019 and working with Craig Ballantyne in the near future. This book is an absolute must buy! I purchase this book in 1998. Read only 1/3. Right now as a yearning for personal fulfillment and a higher level of enlightenment has become a primary focus, I serendipitously stumbled across it. Glad I did, then found this wonderful audio presentation. 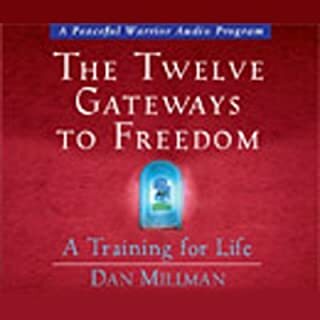 Delivered as a seminar Dan walks through the 12 Gateways to Freedom with poise and attention grabbing engagement. He beautifully reminder me of much what I knew, but was not active very practicing. There are also so many awesome quotes! 17 years on and the content within is not at all out of place and is applicable now as it was back in 1999 and will be for many decades to come. Wow! Greatest book I have ever read on the subject. Utilized the techniques with great success even before completing the book. 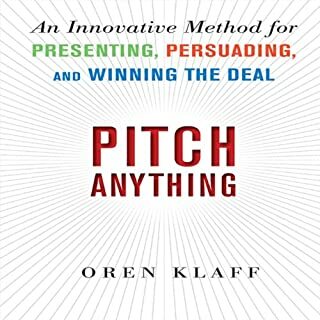 Must read if you are one that ever needs to pitch, sell or raise capital. Outstanding!